Released on Friday, January 30, 2004 at Woodland Hills Mall, 71st & Memorial in Tulsa, Oklahoma USA. I've never heard of this book before, so have no preconceptions of it and am quite looking forward to reading it. I will update my journal entry with a review, once read. Thanks for sharing, Meralee! Update: April 13th, 2004: This has been sitting on my shelf unread for the last couple of months, and is not even approaching the summit of Mount TBR. I have decided to take it to Derby Meetup tonight, with someone specific in mind who I think it will appeal to. If not, I will bring it back to Mount TBR and try to get to it, eventually...! Little Tree is a five year old cherokee whom after losing both his parents, lives with his grandparents, throughtout the story you learn with Little Tree the way of the cherokee, the way they take only from the land what they need, how they respect nature and respect others even when rebuffed. An interesting easy read. One phase I liked at the start was "Gramma said when you come on something good, first thing to do is share it with whoever you can find; that way, the good spreads out where no telling it will go. Which is right." A story that can teach us all about caring for the environment, and respecting each other for whom they are. Will be sending this book on a bookring, to travel some more. Released on Thursday, June 17, 2004 at postal release in Derby, England United Kingdom. I got the book today and can't wait to start reading it. I think I may start reading it to my three girls tonight. Thank you for letting me in on the bookring. Well, I tried to start it with my girls but they just didn't seem to get into it. I stopped doing my reading with them and just read it myself. It was a little slow at first but it really was a great read. I am going to try and find this in a hardcover to keep. Thank you so much for sharing it, what great lessons in it. I hope everyone else in the bookring enjoys it also! I mailed it on to Kelwood today. Whew. Just finished a bookring book, so this one's up next. Looking forward to it a lot. Thanks cartref! I really enjoyed this heartwarming, sometimes bittersweet, story of the young Cherokee boy Little Tree. After being orphaned, he learns about life and love from his grandparents and the mountains that surround him. It did take a while to get used to the "mountain" dialect of the narrator (Little Tree himself), but once I got used to it, I couldn't stop. Thanks for sharing this cartref! Mailed off today to Olifant in the Netherlands. Enjoy! Safely arrived in Holland, together with another bookringbook! I've just finished 'Reason for Hope' (the Dutch version, Hoop voor de Toekomst) written by Jane Goodall, where she writes about our responsibilty towards the care of other people, animals and the earth. This links up nicely with 'The education of Little Tree'. I was allowed to step in smack in the middle of this bookring. Thank you! I started reading right away, so as not to hold up the movement of this book. Just what I need. I will be able to warm my heart to the respect and love for nature as the Cherokee can teach us. This book is showing me, in a gentle way, how wrong we are, in our culture, to turn away from nature and place ourselves above it. The way of the Cherokee is in accordance with nature, just like all other animals. Take only what you need, leave everything else to others, let them have what they need. This goes way further than 'an appreciation of nature' as something to look at on a sunny day, this is about being part of it, of the cycles of life and death. I feel educated as well, after reading this. And touched, by the people and the images of the mountains. 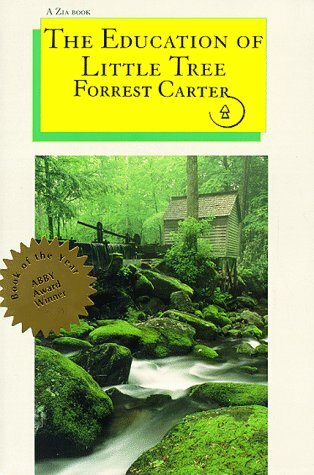 This book made me yearn for the sounds of birds and of the wind rustling in treetops. Released on Tuesday, August 24, 2004 at Controlled Release in Controlled Release, Controlled Release Controlled Releases. This education travels back to England today.